2 years ago, we tried a Golden Nugget pumpkin. We found it at McKinnon’s. It was delicious. Last year, we tried growing them. Every one was chewed by a backyard critter and inedible. This year, we decided we couldn’t wait any longer to build a fence around the backyard garden. It seems to be working – the proof is in the pictures. 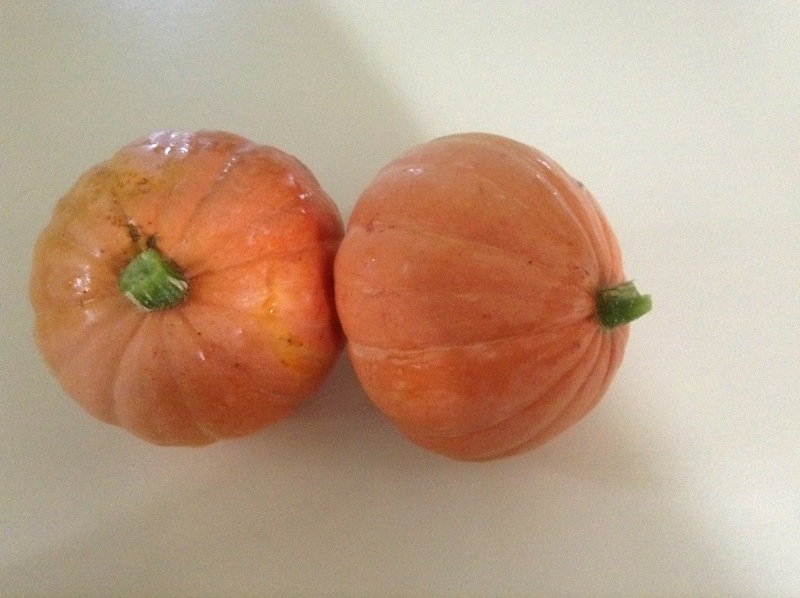 Wash the pumpkin, cut in half lengthwise and scrape out seeds. Sprinkle each cavity with a pinch salt, a pinch cinnamon, a sprinkle of brown sugar, and a pat of unsalted butter. Arrange in a baking dish. Pour boiling water to a depth of 1 inch. Bake, covered, at 400°F for 45 minutes, or until tender.